A $32,000 cocktail. My goodness. 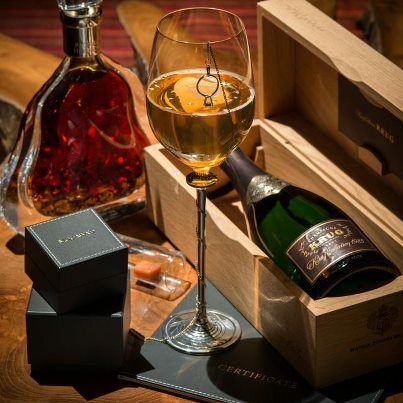 The drink known as the “The Jewel of Pangaea” was created by a Singapore club, Pangaea, and jeweler Mouawad . Mouwad Triple X 1-carat diamond. Mix & enjoy! I think you may need to be a supermodel or have a minimum balance of $6.5 million in your account, but if you’ve got the aforementioned ingredients hanging around, you’re good. How high have you gone? Siena hoodie. Couch. Louie on Netflix. Happy Tuesday and stuff. 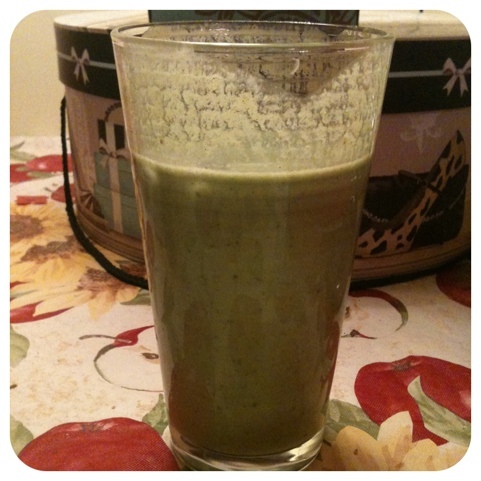 To offset the dark chocolate overload I’ve been starting my days with THE GREEN MONSTER. mmmmm. If you told me six months ago that I would enjoy drinking spinach in the morning I would’ve laughed in your face. Stopped. Then laughed again. It’s so freakin’ good. I take them to work in a little cold cup when I can’t lounge in my bed and enjoy. Oh, side note. 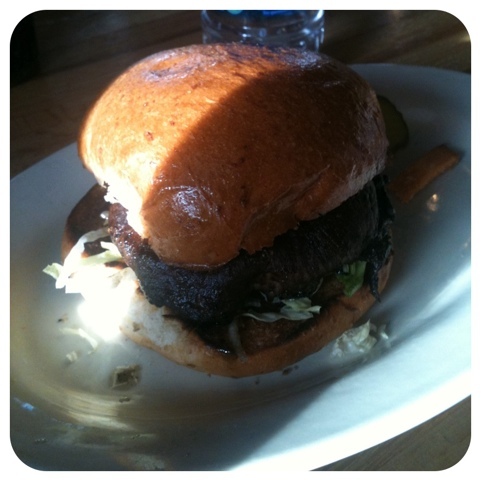 I had the chance to house eat a portobello mushroom burger at Juicy Burgers & More, so good. A little heavy on the balsamic but still delicious. Try it, seriously, at lunch tomorrow go and eat it. Get sweet potato fries too. You’ll have to run a few extra miles but it’s worth it. New Year’s Eve kiddo and I went crazy, I had the champagne, he had the Shirley Temple. New Year’s Day we visited the skating rink at the Empire State Plaza…I’ve so missed skating here! I also suspended the vegan experiment for a short while on New Year’s Day to enjoy manfriend’s to die for homemade pizza. 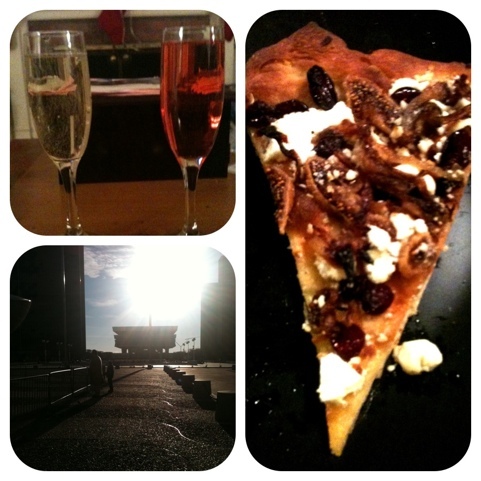 It included: goat cheese, cranberries, caramelized onions and figs. Holy sh*t, it was one of the best things I’ve ever eaten. Why can’t goat cheese be vegan? Goats eat plants, can I consider it a plant? No? Crap. Ok.
Tonight I whipped up another faboush recipe from Oh She Glows. Love her site to pieces. 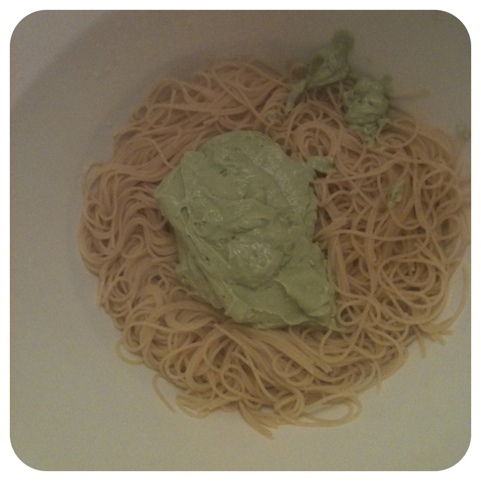 Creamy Avocado Pasta. 15 minutes and it’s delicious!!!! This is the avocado “sauce” pre stir. If you’re someone who used to enjoy cream sauces but no longer can TRY THIS RECIPE. 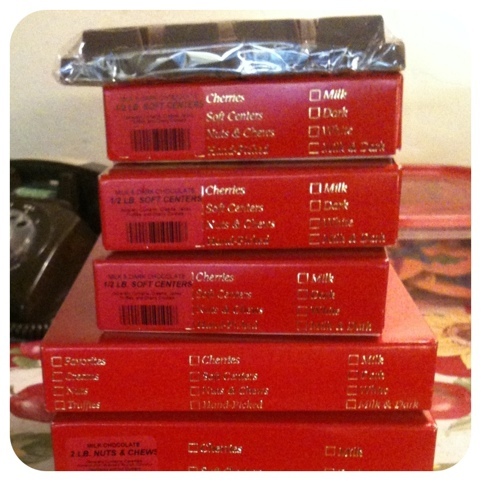 So yummy! 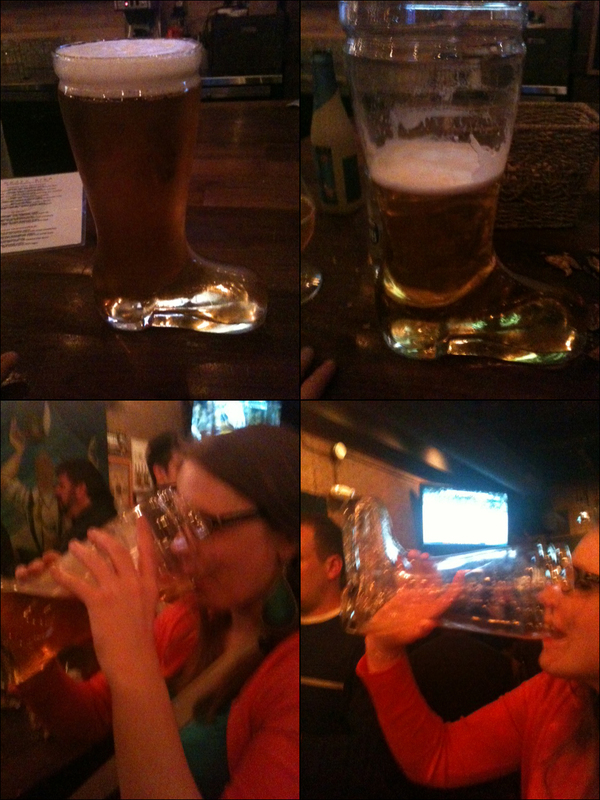 Saturday I spent a quarter of the day recovering from das boot and then ran around getting ready for a celebration for kiddo the next day. After picking up cakes, penny loafers and flowers we were ready for a busy Sunday. 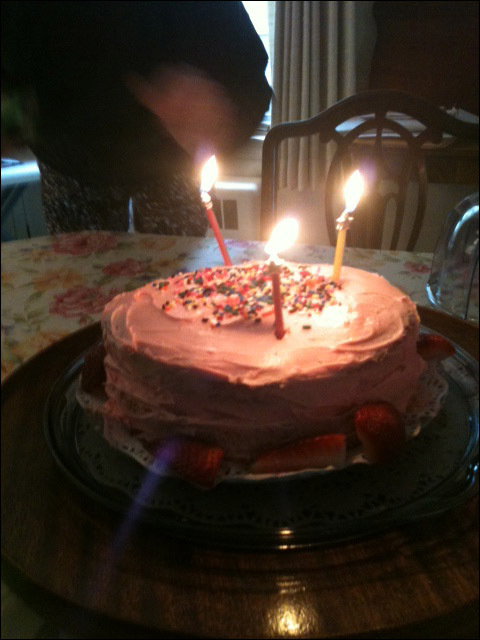 I didn’t even really celebrate Mother’s Day on Sunday it was all about kiddo and family. After his celebration we held a luncheon for our family at Dinosaur BBQ in one of their private rooms (the smaller of the 2) and I was really impressed. We had great food from the catering menu (ribs, chicken, salmon and various sides) the service was great (we had a private server) and everyone was happy. It’s not easy to impress my family, and they were impressed…none of them had been to Dinosaur BBQ before. 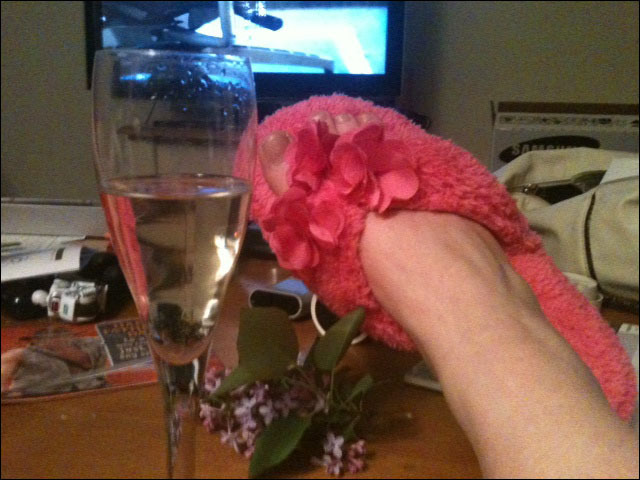 Ahhh, champagne and fuzzy slippers. This is the life.